NO VENDOR CHAIN! HOME ESTATE AGENTS are delighted to bring to the market this spacious four bedroom extended semi detached family residence . If you are looking for space in abundance be sure to book your viewing early. 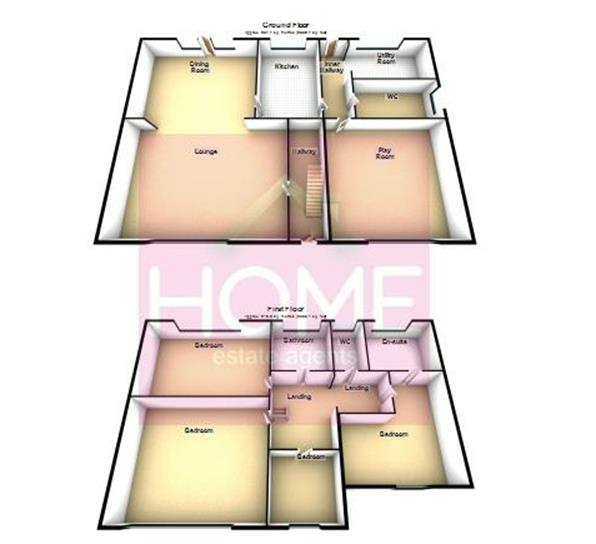 In brief the accommodation comprises entrance hallway, lounge, dining room, kitchen, playroom/annex, utility room, downstairs shower room, shaped landing, the four well proportioned bedrooms, bathroom suite & separate WC. Due to the nature of the ground floor layout the playroom/annex could be used as an additional sleeping area. The master bedroom even benefits from a three piece ensuite! The property is warmed by gas central heating & is fully uPVC double glazed. Externally to the front there is ample off road parking whilst to the rear there is a patio area with lawned garden beyond. It is a rare a property of this size comes to the market so be sure to book your viewing by call HOME on 01617471177. UPVC double glazed window to front. Gas fire. Television point. Double panel radiator. UPVC double glazed window to rear. A range of fitted wall and base units. Rolled edge worktops. Built in electric oven. Electric hob. Overhead extractor fan. Splash wall tiling. Tiled floor. WC. Vanity wash hand basin. Tiled floor. UPVC double glazed window to rear. Plumbing for white goods. UPVC double glazed window to rear. Wash hand basin. WC. shower cubicle. Wall tiling to compliment. Double panel radiator. UPVC double glazed window to rear. Wash hand basin. Bath. Wall tiling to compliment. Externally to the front there is ample off road parking whilst to the rear there is a patio area with lawned garden beyond. It is a rare a property of this size comes to the market so be sure to book your viewing by call HOME on 01617471177.